*** NO REPRODUCTION FEE *** DUBLIN : Children from Gardiner Street National School take part in the national Handshake for Europe at the Mansion House, Dublin with Lord Mayor Councillor Christy Burke and Minister of State for European Affairs Dara Murphy TD. 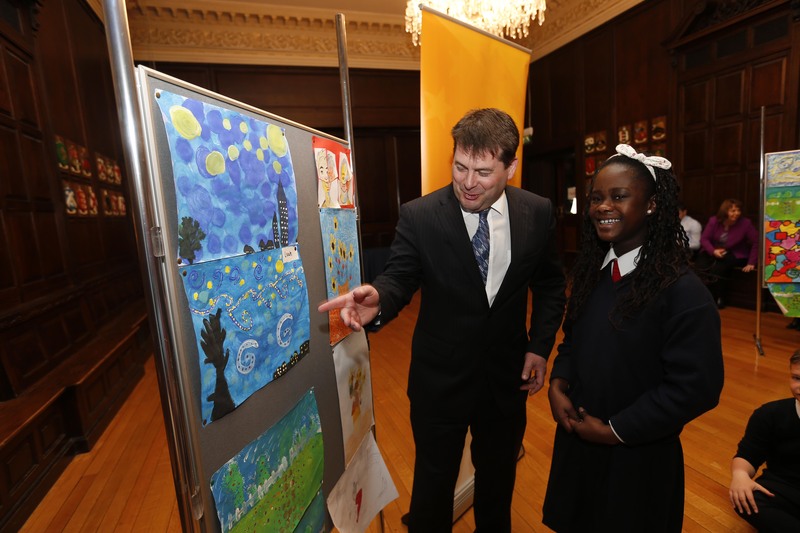 The school is participating with 172 others in the Blue Star programme managed by European Movement Ireland. Picture Conor McCabe Photography.